A Winnipeg mother says her nine-year-old son is still shaken after he was dragged by a moving vehicle while trying to save his bike from being stolen Monday night. A Winnipeg mother says her nine-year-old son is still shaken after he was dragged by a moving vehicle while trying to keep his bike from being stolen. "They sped off and he was screaming," said Crystal Davis, who now worries about letting her son play outside in her St. James neighbourhood. 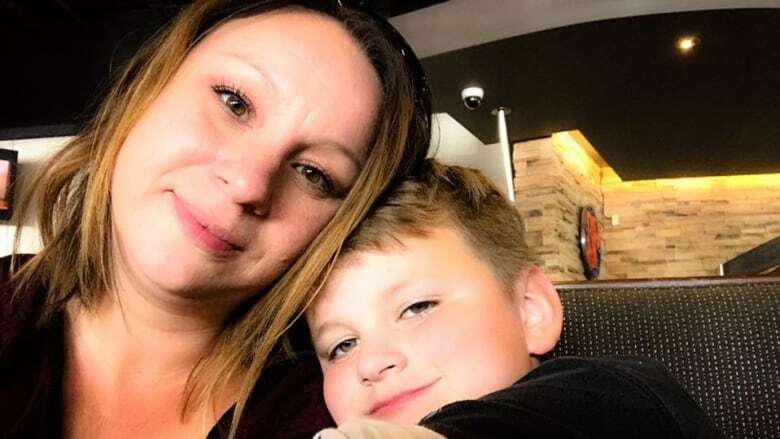 Davis said she was inside her home on Monday night at around 7 p.m. while her son Michael was riding his bike in the back lane with his eight-year-old friend. That's when the commotion began. "His little friend came running back in and he was freaking out, telling me that this truck was trying to kidnap my son," Davis said. Michael Davis, 9, was dragged by a truck while his bike was stolen from the back lane of his home in Winnipeg. (Crystal Davis)She said she quickly ran outside and saw Michael in tears. He told her two men had just stolen his bike. "I don't even want to let him go play outside. You know, my son is nine years old — it's just terrifying." She said her son had hopped off his bike momentarily while he went to grab something from the backyard. "His friend was just waiting for him to finish when this truck pulled up just past my house and a guy jumped out of the passenger seat and grabbed his bike," Davis said. "And so Michael came running into the back lane saying, 'What are you doing? That's my bike!'" she said. "They started to drive away but Michael was already running after the guy. My son jumped and grabbed on to the side of the truck," Davis said. "He said the truck was speeding up and slamming on the brakes, I'm assuming to shake him off … Three or four houses down he ended up letting go and falling onto the grass, thankfully." Davis said her son told her it was a white pickup truck with green letters on the rear side, and that two men were in the vehicle. 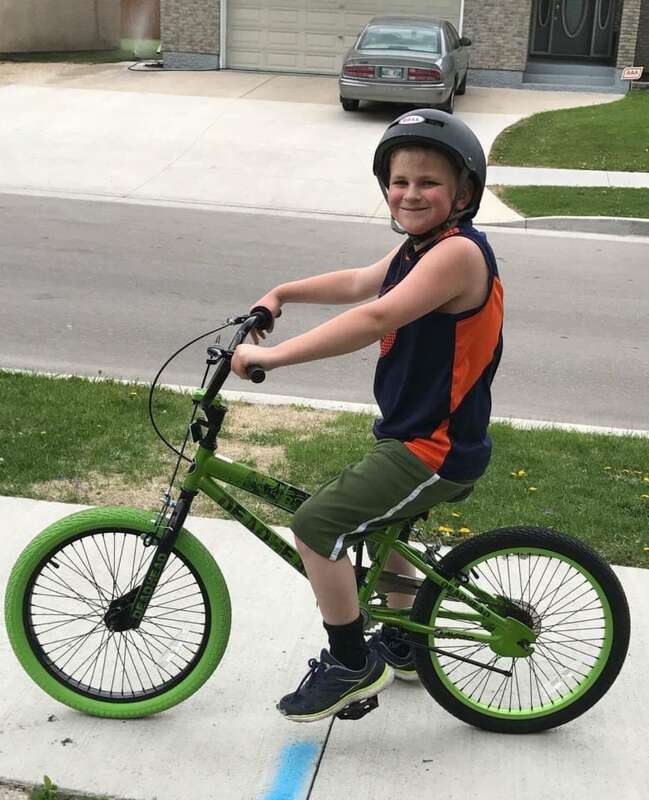 Her son, who suffers from attention deficit hyperactivity disorder and anxiety, wasn't physically hurt but he's struggling emotionally, Davis said, adding this is the second time his bike has been stolen in the last three months. "He's constantly looking at every white truck to see if that's the one that stole his bike." She said she wonders why anyone would steal a bike worth $90 from a child. "It makes you wonder what the heck is going on that somebody would steal a bike literally from underneath a child, and then endanger their lives to do it?" Davis said a neighbour heard the boy's screams and saw a white truck drive away, but nobody was able to see the license plate. Winnipeg police confirm officers were called to the home on Aldine Street and that the incident is under investigation, but no arrests have been made so far. Davis, a single mother of three, said she has since had a talk with her son about putting his safety first. "We had a long talk with him about, you know, not trying to stop adults from doing things like this again — maybe next time just get a license plate, because that will help us more," she said. Davis said she's so concerned that she posted details about the incident on social media to warn other parents in the area. "You don't want to restrict kids from playing outside but, you know, I live in a decent area. I shouldn't be worried about this sort of thing."